No, not that kind. It’s far too chilly for that now. This kind. We’ve caught wind of a quirky new brand that’s just launched called Skinny Dip, which manages to marry both technology and fashion. Two things that you don’t see together very often. SkinnyDip are like the multi-tasking of retail, in that they sell things like woolly hats that are also earphones; and headphones that are also ear muffs. 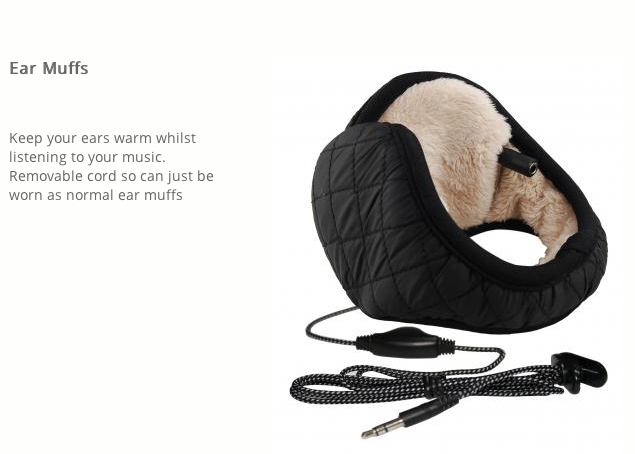 As a regular ear muff wearer, I’m (Lol) often being asked if they have music coming out of them, which sadly they do not. This always makes me think of this scene in Spaceballs the movie (has anyone seen this or am I showing my age?) where Princess Vespa has earmuff/hairpiece earphones. Anyway, I’m delighted to say that you too can now be like Princess Vespa, in some small way. But what’s really interesting about SkinnyDip is their brand positioning. Their strategy when launching was to forget about targeting technology retailers like Dixons. Instead they went straight to fashion brands like River Island and Debenhams. This is a similar strategy to when a few years ago, Penguin turned their attention from book shops (where they had no stand out) and offered them up to furniture stores like Habitat and Heals, thereby customers seeing the books placed stylishly in bookcases around the country – allowing people to associate Penguin with their home. We wondered if HMV ever considered doing something similar and selling their CDs in cd racks? It’s great seeing brands step out of their normal environment. When you encounter a brand somewhere you don’t expect, it makes it much more memorable. What if Sure took their deodorant out of shops and sold them in vending machines on the underground? Or DFS took their sofas out of the showroom and into airport waiting rooms? Or, Lenor was sold in luxury clothes shops? There’s definitely something in that: breaking up the monotony of the in-store display, and surprising people by pairing things together that you’ve not seen before. Certainly, incongruence is a vital element in comedy – the ‘two world’s colliding’ set-up is used so often to create an effect. Maybe the same is true of advertising.